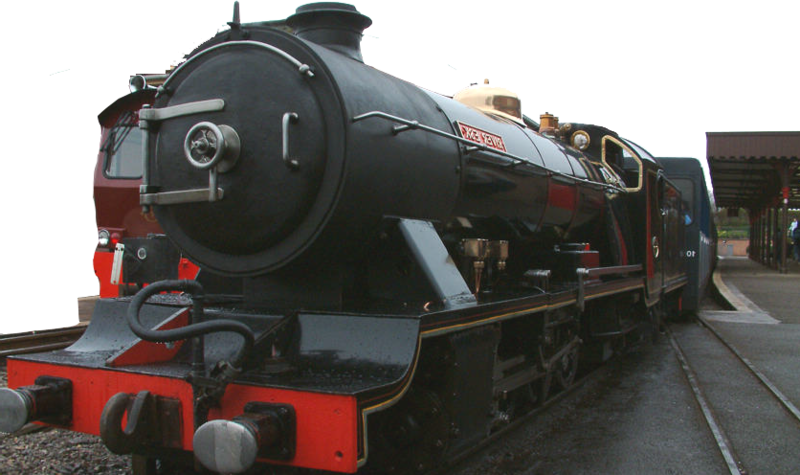 A steam engine was acquired in August 2010 to become a stable mate for the diesel 'Sydney'. Built in 1994 the design is known as a 'Romulus'. The wheel arrangement is 0-4-0 (which means no leading wheels, four drivers and no trailing wheels). The previous owner from Cheshire had it named 'Muttley Two' but kept the nameplates on delivery in memory of his beloved dog. In tradition with naming steam engines, it is renamed after the wife and now carries the nameplates 'Jean'. We have been learning how to get the best from her and she is proving to be a good steamer.